A loan is a loss on paper. The lender has no access to that money until it is repaid. Yet there are times when we need to borrow and others when we are in a position to lend. In fact, the Prophet (peace be on him) was not wealthy and he would often resort to taking loans. To lend or not to lend? When is a loan more than a loan? Lending carries 17 times more reward than charity! (We know this from an authentic hadith). If you are in a position to pardon a loan there is huge reward in this. We can lend as a means of earning Allah’s pleasure. At the time of the Prophet (peace be on him) there was a man who used to give loans just to pardon them. On the Day of Judgement he will be forgiven because he forgave others. People only ask for loans when they are in are a situation of urgent need, because it is beneath their dignity. Lending eases their difficulties, in return Allah Almighty eases your difficulties. In situations where giving charity is awkward, you could give your charity in the form of a loan, without expecting it back, so the borrower feels less uncomfortable about taking it. You could be even more subtle by giving someone money and asking them to give it to anyone they come across who is in need. If they themselves are in need, they will be entitled to take it. You could use your loan to spread more loans, for example sponsor a student to study on the condition they sponsor another student once they are in a position to do so. 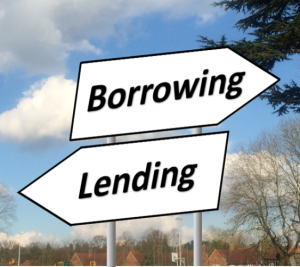 Imagine the ripple effect of one loan if that continues and spreads through multiple students. When should a loan be repaid? Loans should be not be open ended. The repayment period should be set by the borrower (after negotiation with the lender) at the outset, but in their heart the lender can write it off as they know the borrower might not be in a position to repay. If you take out a loan, don’t be negligent in paying it back. You may think the lender has surplus wealth and doesn’t need his loan returned in a hurry, but if you delay returning it, you are being ungrateful. Moreover by returning your loan, you are enabling the lender to lend again and circulate wealth. The Prophet (peace be on him) would not pray salat al-janazah over anyone who had unpaid debts. I made a loan and the borrower is not returning it? Whoever takes a loan with the intention of repaying it, Allah Almighty promised that He will help him repay it. If someone takes a loan with the intention of keeping it, Allah Almighty will punish him. If the borrower is unable to pay and is in real difficulty you can pardon him, but if he is faking hardship, then you are allowed to shame him publicly. He may also be punishable by shariah court. From hadith we know that a rich man refusing to repay his debt causes oppression. To warn others of his dishonesty it does not constitute backbiting if you warn others about him. When the ayahs of Qur’an prohibiting riba were revealed, multitudes of lenders immediately recalled their debts, this created hardship for people who had taken out loans. Therefore Allah Almighty revealed the ayahs asking lenders to go easy on them. When the Prophet (peace be on him) would take a loan he would return it with a gift out of gratitude to his lender. This reflected his usual generous and kind nature. As loans often help the borrower out of difficult situations, showing gratitude in this way is a beautiful gesture. When is it not permissible to give or receive a gift linked to a loan? When the gift is expected or stipulated by the lender that gift becomes riba. If the gift is given by the borrower as a bribe it should be declined. How can I give a loan without making a loss? Rising prices decrease the value of money. A £1.00 note in 1971 had the same purchasing power as £10.60 does today. So if your loan is returned many years later, you could be making a monetary loss. Can you lend without making a loss? Yes. If your loan is linked to its ‘real’ value not its paper value. In other words, it’s purchase power. For example, if your money could buy an ounce of gold when you lent it, when the money is returned you should still be able to purchase an ounce of gold with it. The amount of money could be higher or lower. It is not necessary to link the loan with gold, but anything that has a relatively stable value. Can you buy something with deferred payments if there is an additional charge? No. If a book costs £10 now but £12 if you buy it in instalments over a year, the additional £2 would be considered ‘riba’. Unless the cost of the book is £12, which can be paid over 1 year, or has a £2 cash discount if bought outright. The price ends up being the same in the both scenarios but one is permissible and the other is prohibited. Can I go for hajj if I have loans to repay? 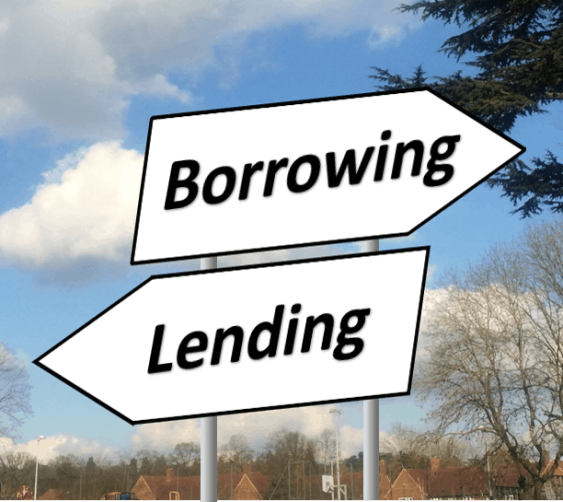 There are two types of loans, immediate and long term. If you are going for hajj, you should pay off short-term loans before you leave. If you have a mortgage, it does not prevent you going on hajj. If I lent money do I need to pay zakat on it? No, exclude money you have lent when calculating zakat. Financial transactions are a serious matter in Islam. As a minimum Allah Almighty wants us to deal fairly and responsibly with each other and preferably with mercy and generosity. We cannot take debt lightly but when we are in a position to lend there is tremendous reward on offer if we use it as a means of helping others help themselves.